A MAJOR GATHERING of the science and innovation community gets under way in Dublin today with a former president among those set to address the forum in the coming days. The Euroscience Open Forum, a biennial meeting on scientific research and innovation, opens this morning at the Dublin Convention Centre as one of the key events in the year-long Dublin City of Science festival. Between today and Sunday, it will hear from the NASA administrator Chales Bolden Jr, former president Mary Robinson, activist and singer Bob Geldof, and a number of nobel prize winners with more than 140 sessions taking place between today and Sunday. The forum will hear presentations demonstrating the current frontiers of scientific and technological research on the continent. There will also be a keynote address from CERN director general Professor Rolf Dieter Heuer just over a week after the discovery of a previously elusive Higgs Boson-like particle, which has been hailed as a landmark moment in science and discovery. Professor Heuer will deliver a keynote address at a session entitled The search for a deeper understanding of our universe at the Large Hadron Collider: the World’s Largest Particle Accelerator at 2.45pm on Saturday at the Convention Centre. He is also due to hold a question and answer session at the Royal Irish Academy on Saturday. Before that, on Friday he will give a lecture at Trinity College Dublin, an event being organised by Astronomy Ireland. 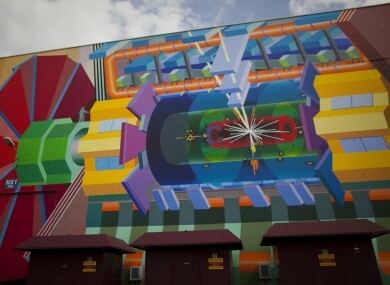 Explainer: So what’s this Higgs boson thing all about? Email “Major European science forum gets under way in Dublin today”. Feedback on “Major European science forum gets under way in Dublin today”.